Blue Star Direct’s very own Rachel Baldovino and Naomi McLean ran for a second year supporting the Royal Children’s Hospital (RCH) Foundation through the Great Amazing Race and over both years they’ve raised more than $5,700 helping Victoria’s sickest and most vulnerable children get the best care. Blue Star Direct’s fundraising efforts by staff were amazing, from raffling gift cards kindly donated by our client, Accumulate, to the best of Blue Star Direct’s bakers hosting a staff morning tea in exchange for donations and to the Managing Director, John Stewart matching every $1 donated by Blue Star Direct staff. This year’s donation is supporting clinical Music Therapy for children with brain injuries and neurological disorders. Through the power of song, Music Therapy helps RCH kids process their hospital experiences, manage their pain and discomfort, and find joy in difficult situations. This year 338 teams ran, skateboarded and saved teddy bears to reach the Great Amazing Race finish line. Thanks to fundraisers and donors, to The Royal Children’s Hospital (RCH) Foundation this took the grand total raised via all Great Amazing Race events to more than $143,000! 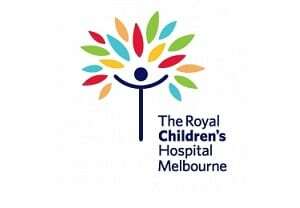 For more information on how you can help The RCH Foundation, read more HERE.